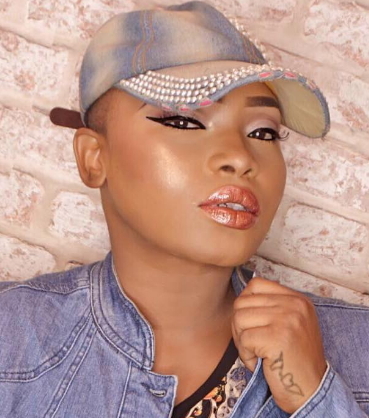 It was just like yesterday when NG broke the news of Halima Abubakar’s secret battle with cancer, however the actress in a bid to cover up her illness came after us, threatening to sue the “head of her enemy”. 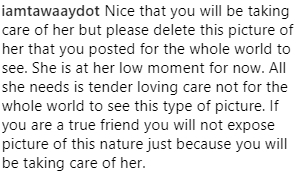 Well her bestie, Tonto Dikeh has finally exposed her best kept secret on the social media. 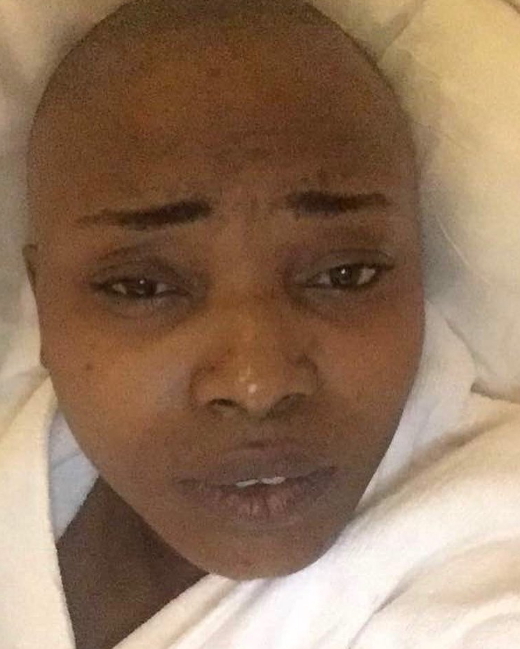 On Sunday, Tonto Dikeh shared the above photo of frail-looking Halima Abubakar lying on the bed. She told fans, she picked her up from the hospital so as to take proper care of her. 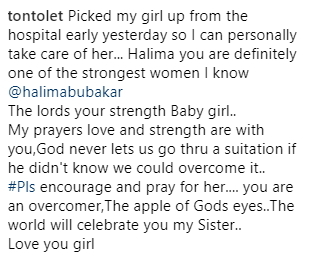 However, some fans came after the mother of one for announcing Halima’s secret battle on Instagram. Tonto Dikeh must have received Halima’s permission before posting the above photo. Wishing Halima a quick recovery. This Tonto girl Nawaoo! Why is it in every 3 stories, Tonto is in 2 or almost in all. #praying for Halima for healing. Tonto needs help,e remain to put up her pic on social media when she uses the toi###let.exposing a sick friend on the internet tells us how sick she is..
THAT GOES to show that all these humanitarian and philanthropic gestures by our celebrities is nothing but hypocrisy. They don’t do it because they feel the need, but because they want the world to know they are doing it and call them sweet names. #Pharisee! Trust my girl Tonto; her own philanthropy must come with a jumbo megaphone. It is still an act of altruism on her part.Wishing Halima God’s total healing. Halima I wish you quick recovery. Tonto Dikeh , u are very sick gal, i can reason that man run from u.may God Almight help Halima, from this cancer, halima,Tonto is not ur friend. NOTHING SHOULD HAPPEN to Halima please. Kinda like that gal. I pray that whatever the illness, God will through His aboundant mercies see her through. @ Tonto, If actually, you posted this pix by the consent of Halima, then you are completely exonerated. Othewise by this action, I don‘t know what to tell you but I think you are less than an Amoeba. Maybe tonto didn’t mean any harm in posting harlima’s picture. I felt that she needed people to know and pray for her. Harlimar u r healed in Jesus mighty name, amen. It is well with u. God is in control, don’t give up pls, u must testify his goodness in Jesus name. God bless u. There is no harm for her to post this photo. Maybe she did it with her permission. So please is not about Tonto is about praying for Halima to get better if she did not paste this photo how will you know Halima state of sickness? I think tonto wants Nigerians to know about Haliman’s case so that we can collectively help her either by prayers or in anyway.